Yes it is called IBM Connect now, and the Closing General Session wraps up around 4:30 in the afternoon, but the true closing session takes place many hours later when Mat Newman finally removes his badge (well has his badge removed). The honor this year was given to Amanda Bauman. Thanks for joining me for Live Coverage of the IBM Connect OGS feel free to leave a comment on the post or in the live feed. For a live stream of the event Click here. I will be live blogging (or at least trying) once again from IBM Connect. For now I plan on live blogging 2 sessions, though I might add more later on. For those attending IBM Connect 2014 you should have already received your credentials to the Connect 2014 online site, which in large part is powered by IBM Connections. 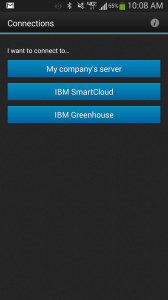 If you want to use the IBM Connections Mobile App (Android, iOS) it can be easily configured as follows. 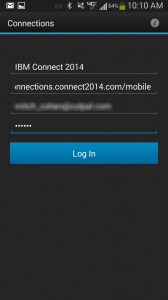 Next use the this URL “https://connections.connect2014.com/mobile” along with the credentials you should have received from IBM. Simple as that you now have access to the Connect 2014 Connections environment on the go. Profiles are the centerpiece of IBM Connections and your social business. IBM Connections ships with scripts to connect to your LDAP Directory. However, most organizations also need to integrate HR data to build complete profiles and reporting structure. In this session we will teach you step-by-step how to add custom fields to your Profiles configuration, and how to populate data from multiple sources including LDAP and HR systems. Learn how you can leverage the data in your existing on-premises or cloud systems (LDAP, Profiles, Active Directory, and others) to automatically provision users in IBM Smart Cloud for Social Business. This session will provide a basic introduction to Tivoli Directory Integrator, and how to connect to multiple data sources to create users in IBM SmartCloud. We will cover user the automation of user creation, changes, and deletions, as well as explain different enrollment and log in methods available to your users. 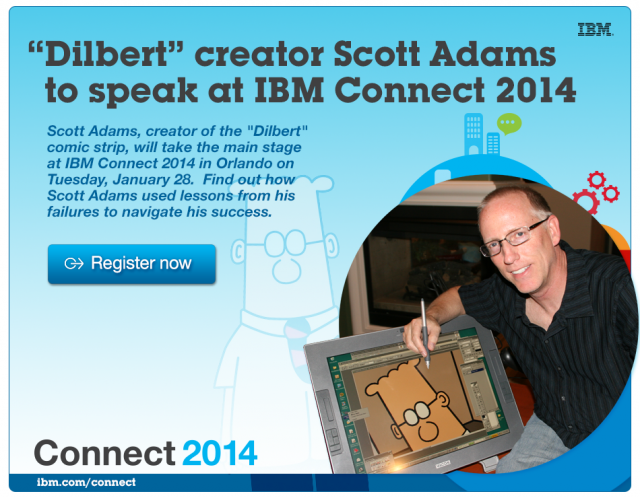 Looking forward to seeing many of you in Orlando in a few weeks.